Rodeco supplies a high-quality selection of media to suit a variety of blasting needs. Let our experts help you find the type and size media that’s best for your unique application. From steel shot to glass… plastic to cut wire… we have what you need for every type of surface preparation. 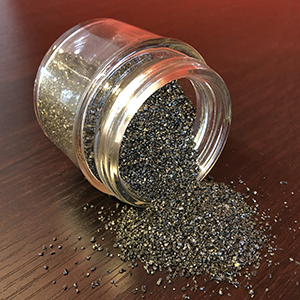 Recyclability: Exceeding the life of aluminum oxide, glass beads, mineral abrasive, garnet, or slag by up to a thousand-to-one, AMACAST can significantly reduce your raw materials and disposal costs. 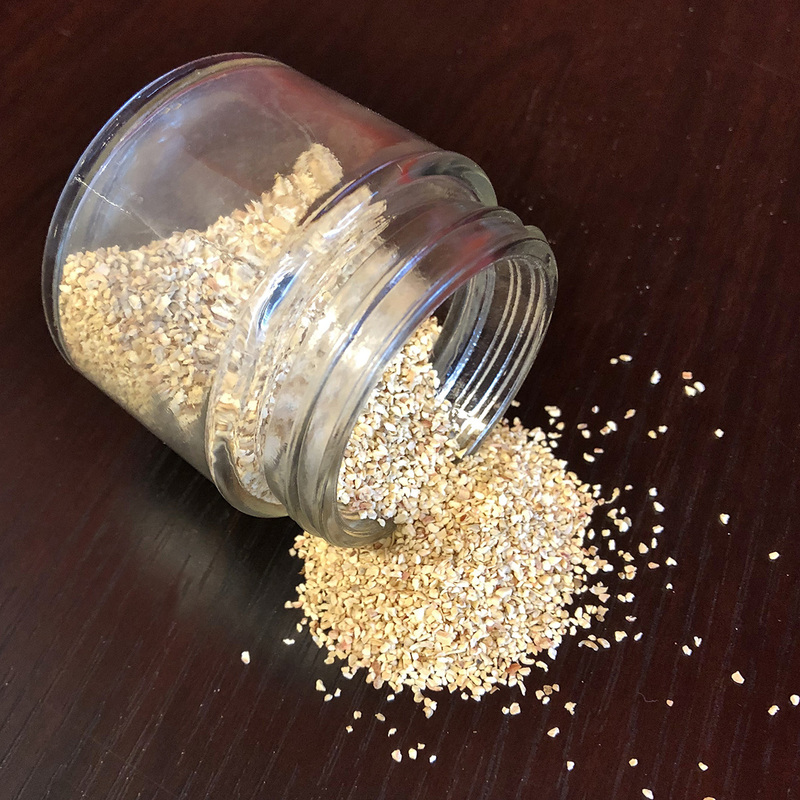 Health and Environmental Impact: AMACAST is non-hazardous and contaminant free. Its use produces no free silica or its associated respiratory and environmental hazards. Surface Finish: Whether you require a bright, metallic finish, free from staining and ferrous residue, or a specific surface profile to prepare for coating, AMACAST is the answer. Offered in five separate size ranges, AMACAST is designed to meet your specific production requirements. 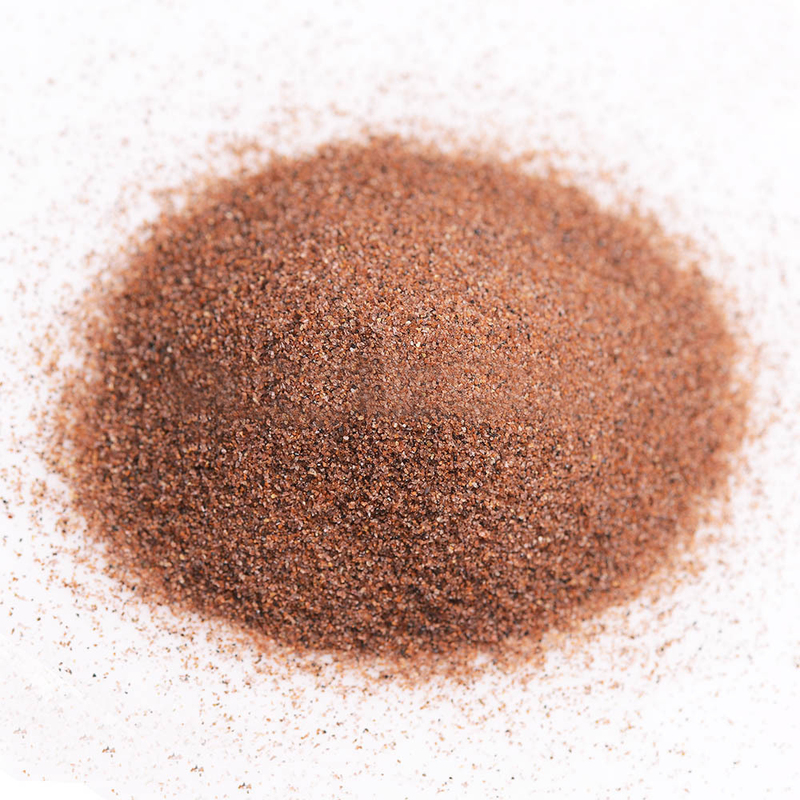 Brown-fused aluminum oxide is a tough, hard material with high strength, excellent wear, and corrosion resistant. It also displays good thermal conductivity. 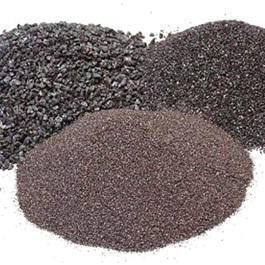 Brown-Fused Aluminum Oxide is an extremely aggressive and hard abrasive used primarily for blasting non-ferrous surfaces. 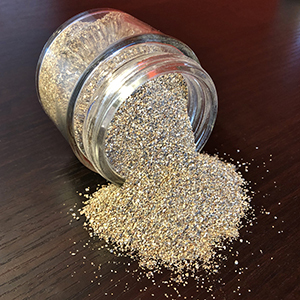 Primary uses are for prepping a metal surface for proper coating/paint adhesion and removal of surface contamination, rust, mill scale, and paint. Brown-Fused Aluminum Oxide’s high bulk density, hardness, and angular shape give it an aggressiveness that provides a clean, fast-cutting action, considerably increasing production rates. 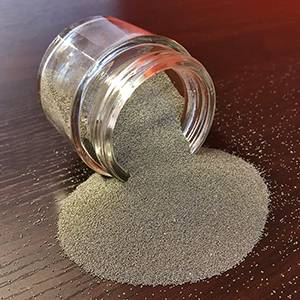 Brown-Fused Aluminum Oxide is most commonly used in abrasive blast cabinets and blast rooms with recovery systems. Rodeco also offers a recycling program for larger users. Please inquire within to see if you quality. 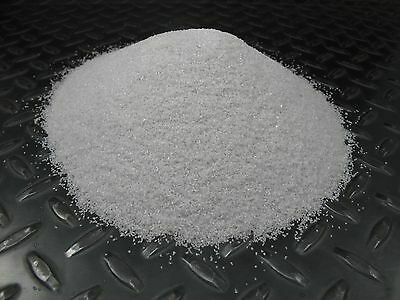 White aluminum oxide boasts an extremely high purity that makes it suitable for applications requiring minimum contamination of foreign substances and sharp free cutting abrasive characteristics. 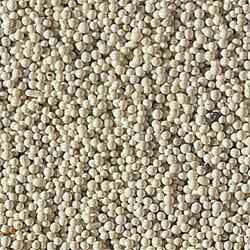 It is available in a wide range of grit sizes. Glass bead media is a classic in the blasting industry. Rodeco supplies a high-quality selection of glass beads to suit various blasting needs. Glass beads are manufactured from high-grade glass, contain no free silica, and are made into preformed spherical shapes. They produce a much smoother and brighter satin finish and are extremely hard, chemically inert, and environmentally friendly. It is a popular abrasive in both wet and dry blasting. 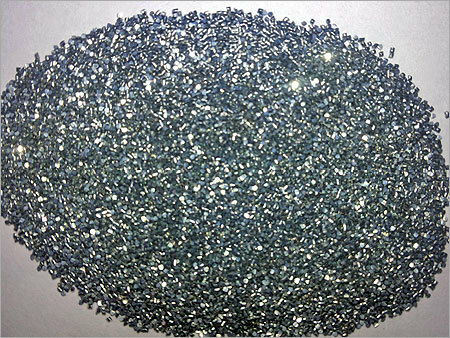 Glass beads are primarily used in blasting cabinets for honing, polishing, peening, blending, finishing, removing light burrs, and cleaning more light foreign matter. Through its ability to transfer energy, it displays 10-15 times longer lifetime compared to ceramic beads degradation mode. 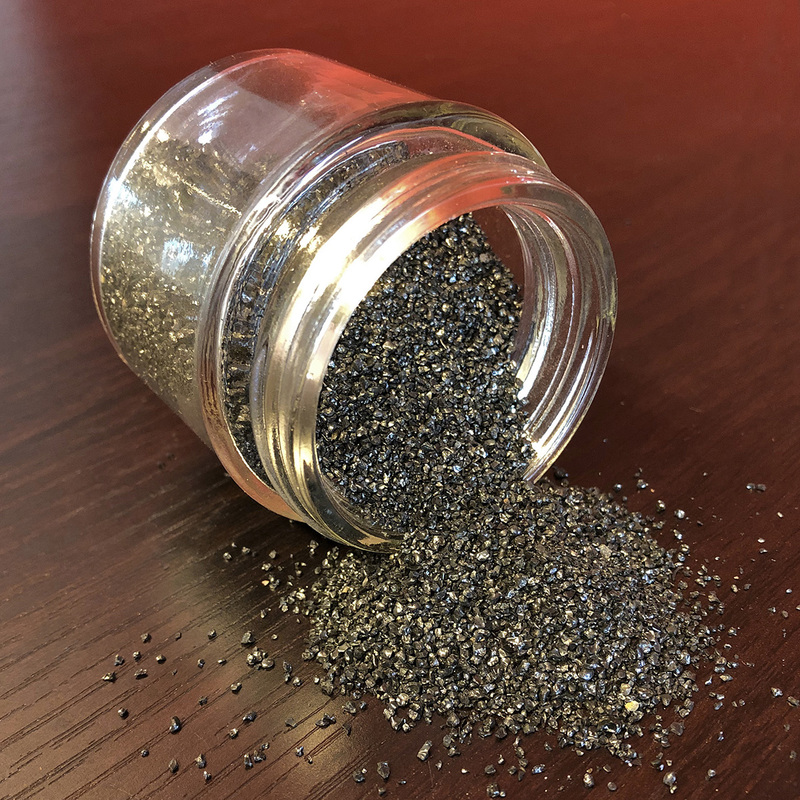 POLYEXTRA® - Type I: Custom designed for use in soft abrasive finishing deflashing operations when maintenance of surface tolerance is of the utmost concern and the integrity of the substrate cannot be compromised. POLYPLUS® - Type II: This media is more aggressive than POLYEXTRA® and POLY V® and is applicable for a great variety of light industrial cleaning requirements. It can reduce, if not totally eliminate, chemical consumption. POLYHARD® - Type III: This media is the most aggressive formulation of POLYMEDIA®. It is fast acting and not harmful to blast cleaning equipment or cabinetry. This media offers a fast, cost-effective alternative to other removal methods. POLY V® - Type IV: This media is designed to solve today’s coating removal and surface preparation problems. It provides rapid coating removal, minimal substrate abrasion, and high reusability. It is specifically designed to remove coatings from most sheet aluminum, fiberglass, and composite surfaces as well as to deburr plastics, ceramics, and soft metals. Ceramic Blasting media often lasts ten to twelve times longer then other abrasives. Because it lasts so long and does not break down, it is extremely cost effectuve when waste and disposal costs are included. If a contaminate has to be removed, ceramic media is the answer. 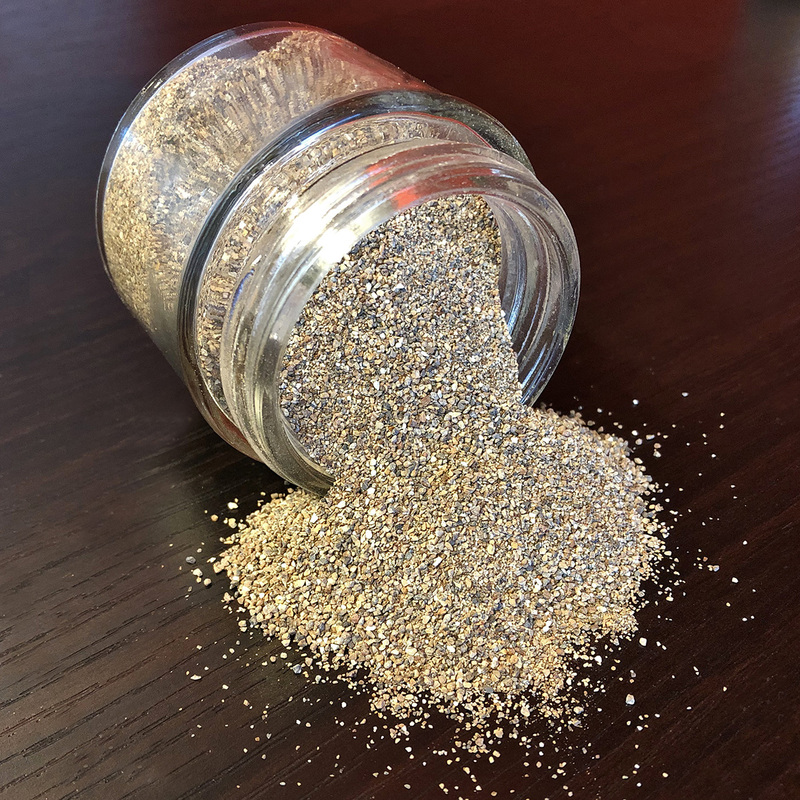 Garnet abrasive is fast cutting and recyclable up to 5 times. Because of its speed, the ROI on a project can be improved by reducing the labor time. With four different types and multiple sizes, we can recommend the exact right garnet for your application. Stainless steel shot, while more expensive per pound, easily justifies the cost by lasting 3 to 4 times longer and eliminates any risk of iron impregnation. 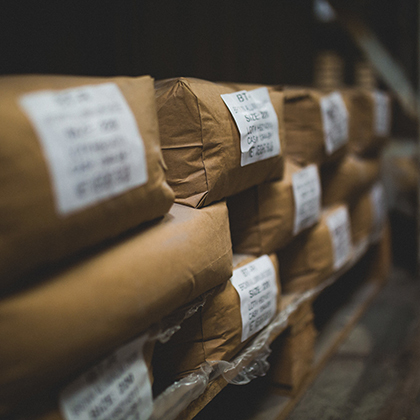 AMACAST can significantly reduce your raw materials and disposal costs. Whether you require a bright, metallic finish, free from staining and ferrous residue, or a specific surface profile to prepare for coating, AMACAST is the answer. Stainless steel cut wire is a must for cleaning or peening operations when ferrous contamination cannot be tolerated. Stainless steel cut wire is produced from type 302/304 wire, and is manufactured to rigid specifications. The wire is cut to the same length as its diameter, resulting in a solid, durable piece of shot. Stainless steel cut wire is available in either “as cut” or conditioned forms. Conditioned stainless cut wire is available in Type I, Type II, or Type III conditioned forms. Our stainless steel cut wire meets AMS 2431 and SAE J441 specifications referencing metallurgy, shape, hardness, and size. Zinc cut wire is the abrasive of choice when damage and ferrous contamination from conventional steel abrasives are of concern. Zinc cut wire is made from 99%+ high-grade zinc wire. It is an ideal product for cleaning fixtures or stripping paint hooks. Zinc cut wire is a soft, non-ferrous abrasive that is capable of removing various coatings, removing flash from aluminum and magnesium die castings, or simply producing a bright, uniform finish on any metal. 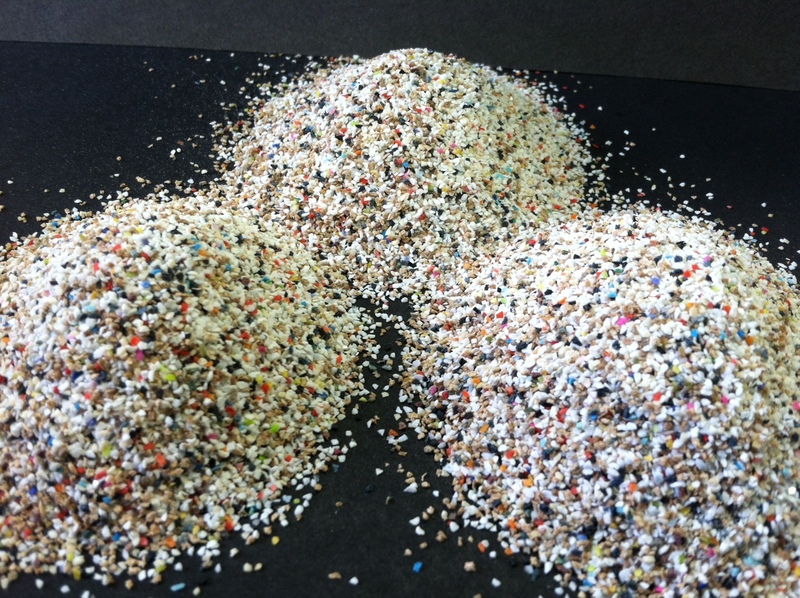 Crushed Glass is made from 100% crushed post-consumer recycled glass. It is lighter in weight, it has the hardness of glass bead, and its sharp, angular grains produce a very clean bright finish. 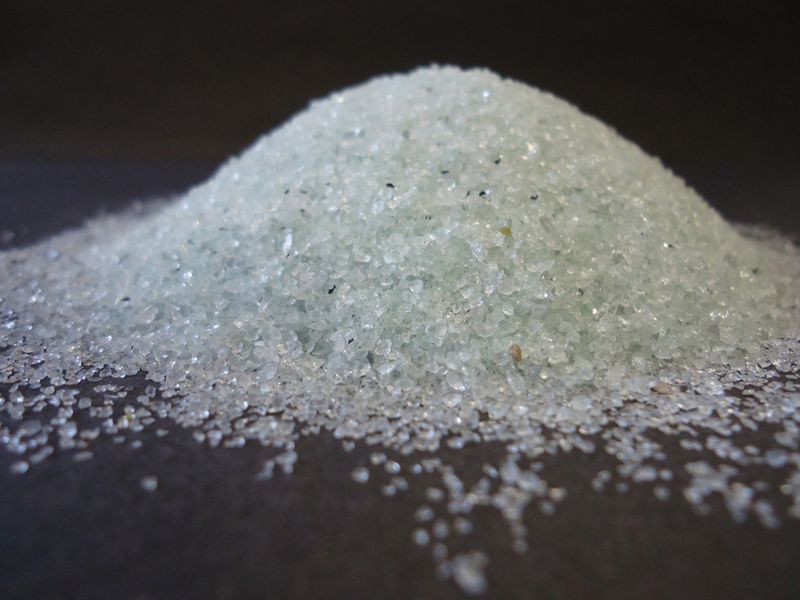 Crushed glass is environmentally responsible since it is inert and contains no heavy metals or crystalline silica. It is especially suited for preparing a variety of surfaces for painting. It is unique in its ability to economically clean aluminum, brass, copper, and stainless steel. It is excellent for use on steel, concrete, fiberglass, wood, and stone surfaces. Crushed glass can be used in sensitive areas and does a better job at feathering and avoiding unintended ricochet damage. Because of its light weight, cleanup is faster and disposal costs are lower. 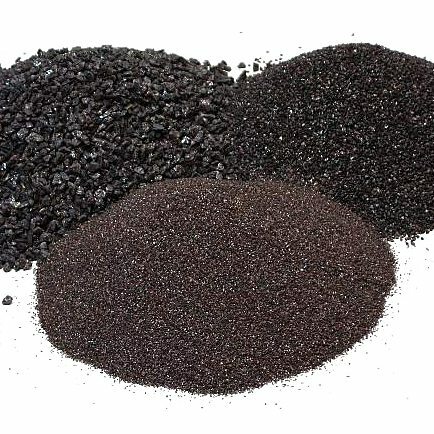 Harsco is the largest U.S. manufacturer of coal slag abrasives for the surface preparation market. Our BLACK BEAUTY®; abrasives are the original, low dusting, low free silica coal slag blasting abrasives. They lead the industry for quality, value, and performance. Used for general purpose repair and maintenance blasting including removal of paint, rust, mill scale, and other coatings from surfaces. Minimum suggested nozzle size of 1/4" and under-standard blasting conditions will achieve a 3.0-4.8 Mil profile. Utilized for new construction, light paint and rust removal and special maintenance applications requiring reduced profiles. Minimum suggested nozzle size of 3/16” and under standard blasting conditions will achieve a 2.0-3.5 Mil profile. Applicable for light blasting requiring a clean surface and minimum anchor profile including brush-off blast or high-pressure water blast systems. Minimum suggested nozzle size of 1/8” and under-standard blasting conditions will achieve a 1.0-2.6 Mil profile. Made of synthetic olivine, JETMAG is a low cost, high performing option for blast cleaning. 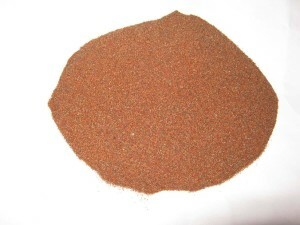 Mostly used in dry applications as a low cost alternative to Garnet and a less toxic replacement for slag products. They have developed an effective wetblast formula as well. 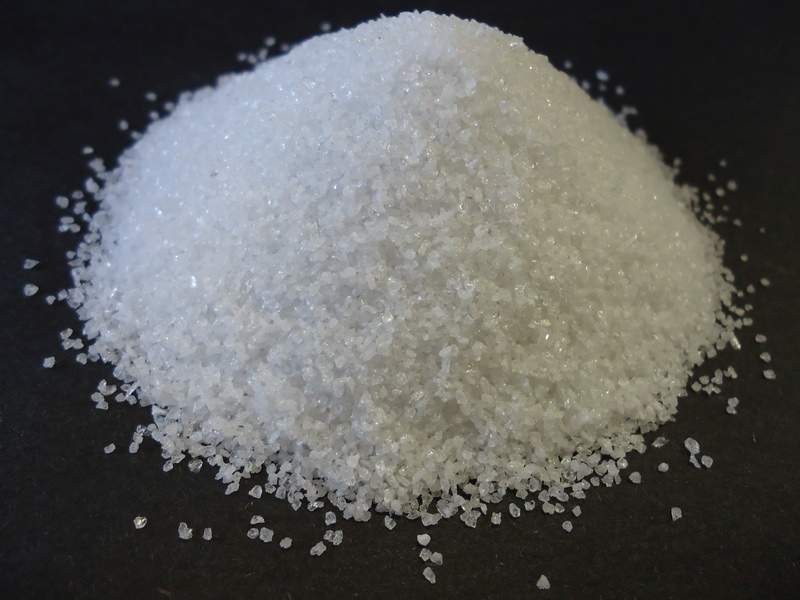 It contains less than 1 % of free silica. It holds no heavy metals and no toxic elements. It can be recycled and re-used 3 - 4 times. It is not listed as dangerous waste when needing to be disposed. #EG 14 – provides 2.8-4.0 Mil profile - All-purpose size for cleaning structural steel, bridges, tanks, ships, water towers, etc. Soda Blasting is using baking soda, or sodium bicarbonate, to blast for removal of dust, foil, paint, and to clean delicate substrates. These substrates are often limestone walls, rotating parts with bearings, fiberglass, arilox printing rolls, etc. 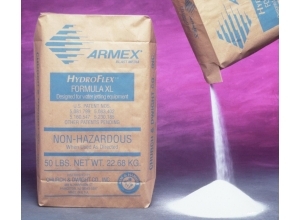 While the idea for ARMEX® started with just plain baking soda, as the world’s leader in bicarbonate technology, ARM & HAMMER®, formulated more than a dozen unique media to specially meet industry surface preparation requirements. 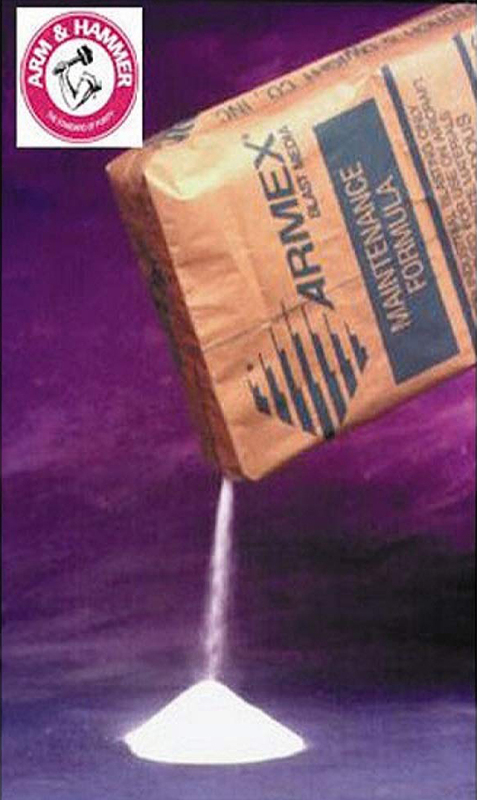 ARMEX® Cleaning and Coating Removal Systems have become an effective, economical, and environmentally superior method for cleaning, de-painting, and degreasing across the country and around the world. Soda is non-toxic and non-hazardous, with a nearly benlgn pH of.8.2. 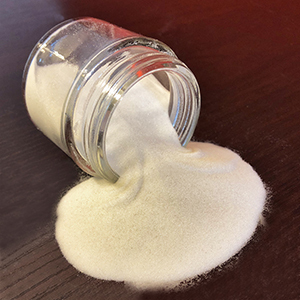 Soda is water-soluble and can be thoroughly rinsed from surfaces. Corncob grit is the most accurately-screened and air-washed media in the marketplace. It has been the highest-quality media and the best in its class for over 50 years. Corncob is both an absorbent and an abrasive! This wet blasting additive prevents flash rusting of iron and steel surfaces and of dry blasted surfaces in a pressurized wash down. Holdtight 102 is designed to exceed marine, offshore, industrial, and infrastructure application standards. No rust. No salt. One step. 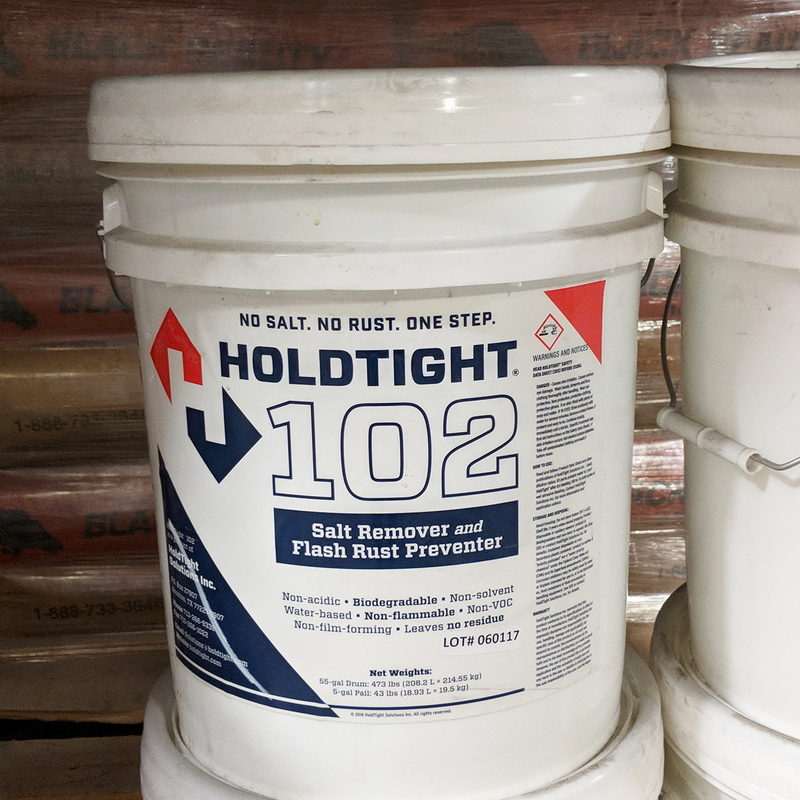 https://www.holdtight.com/product-safety-data.html - link to product data sheet and application sheet. Link these to webpage. NOT SURE WHAT YOU NEED? TALK TO THE EXPERTS AT RODECO. Rodeco's team can help you find what you need. If you're not sure, schedule a demo with Kevin in Field Services.